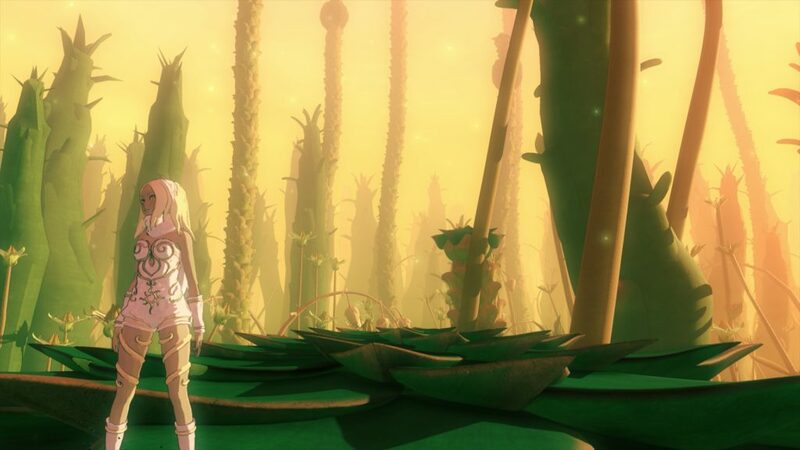 Back in January, Sony Interactive Entertainment announced that they would delay the shutdown of Gravity Rush 2’s online servers by six months, seemingly answering the many requests from fans to keep the game’s servers online during the #DontForgetGravityRush campaign. But now we’re a few months later and we’re once again approaching the closure of the game’s servers on July 18th. While the delay was certainly a good thing, the problem is that it didn’t actually do anything to fix the impact the closure would have on the game. Even if we do manage to postpone the shutdown once again, the servers will still go down eventually in the future. It’s with this in mind that for the next #DontForgetGravityRush, I think it’s time to look at what else Sony could do for Gravity Rush 2 in the event the servers do go offline. You can skip to “How Sony can help” if you’re in a hurry and are already familiar with the campaign. Otherwise, you’ll find a recap of what the online server closure means for the game. If you look at the current situation, I get the impression that losing the servers so soon isn’t something that was really taken into account during the game’s development. Here’s an overview of what will be removed from the game once the servers go offline. Sending/Receiving Challenges: You’ll no longer be able to challenge other players (random or friends) to beat your “ghost” in a Challenge. These challenges can currently be accessed via the menu, or directly from within the game world. Browse ranking: Both the worldwide Dusty Tokens charts and all of the 20 in-game Challenge leaderboards are being removed. You’ll no longer be able to see how your score compares to the rest of the world. This is notable because Gravity Rush Remastered’s online ranking remains active. Receiving and posting Treasure Hunts: This is probably the most popular online mode, where you can search for the location of treasure chests by means of a photo taken by another player. Think of the photo as the equivalent of a treasure map. Receiving, posting and reviewing photos: You can take photos in-game and then upload them for others to review. These appear as “blue” Kats throughout the game world. By interacting with them, you can vote whether or not you like the photo. This will also be removed. Earning Dusty Tokens and rewards: Dusty Tokens are earned by participating in some of the above online modes. There are 10 unique rewards that can be unlocked this way, including a talisman that allows for infinite shifting. Sony made it clear that new players won’t be able to unlock these rewards after the online servers have been decommissioned. Ghosts of the Fallen: If you die in the dungeon-like “Delvool Trench Mine” challenges (consisting of 50 layers, each with their own challenge), your ghost would be left behind, along with half of the items you had collected so far. Other players could find your ghost and collect those items. When the online servers go down, you’ll no longer encounter ghosts from other players. Treasure Chest items: there are a total of 58 unique in-game items that can be found in treasure chests. Without the online “Treasure Hunts” functionality, finding these becomes an unreasonably difficult task. The truth is that some aspects of the online functionality have already been removed or altered. When the game was first released, the mining locations showed the amount of people currently active in the area. Depending on the activity it was supposed to impact how fast the mining site would run out of resources. I don’t remember when actually it was removed, but the feature wasn’t present for very long. The online challenges were also impacted. Players only seem to get new challenges in a large batch around once every month. If you send a challenge to a player, it can take up to 30 days for them to receive it. On the upside, this change meant that players were now getting multiple ghosts for the same challenge simultaneously, and as a result we could sometimes end up competing against up to 3 other ghosts at the same time. Before this change, I never encountered this scenario and it’s actually a lot more fun than just competing against one ghost. But unfortunately few will be willing to wait a month to get to play them. Sadly, it appears the game’s online challenges are already on their way out in their current form. A challenge against 3 ghosts from other players at the same time. This isn’t the only PS4 game to have its online servers decommissioned, and it begs the questions to what extent we should expect Sony to support its own games. These online services aren’t trivial for developers to implement, and it’s a shame to see that work cast aside so quickly, with Sony seemingly disregarding the consequences for the people who bought the game, those who have yet to buy it, and the franchise as a whole. Isn’t there a minimum of support that Sony, as well as other major publishers in the gaming industry, should guarantee when they put their games on the market? Unlock the Dusty Token items for new players instantly. Dramatically increase the spawn rate of Treasure Chests when the game is offline. When the players isn’t in a mission, it would be very helpful if treasure chests appeared more frequently until the player has found all 58 Items. This alone would ensure that people who buy the game after the server shutdown can still acquire all the in-game items the game has to offer. I’d argue that these things could have been considered from the start, but all we can do now is hope Sony will respond to our requests. I’ll be providing details on what and who to tweet or message later this week, but I can say we’ll be holding another #GravityPhotoDays event next weekend (June 2 and 3), where I’ll ask people to include the #DontForgetGravityRush hashtag as well! Stay tuned! I hope that you manage to convince sony to not shutdown the servers like the last time. By the way, i love the idea of the update. It would also be great if they unlock the pre-order white costume for everyone, or at least make it a reward after maybe finishing the game, reaching a certain mining level, etc. I’m losing my mind stressing out trying to get all the Dusty Tokens before Thursday. I hope this resolves itself in a good way.